The Arctic is one of the last great unspoiled natural areas of the world. Recent news of mishaps related to exploratory Arctic drilling remind us of the many past and present incidents of failed management, operations and technology. 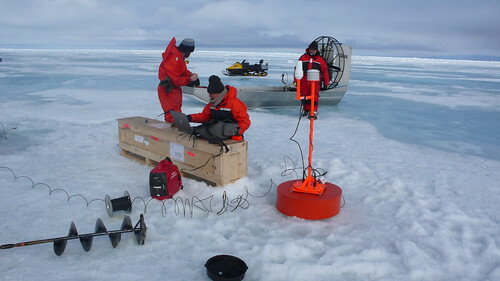 In this episode of World Ocean Radio, host Peter Neill argues that it is time for the Obama administration to declare the waters of the Arctic a protected area and to put alternative energy and innovative practice back on the table, thereby following up on the promise to make climate change and energy independence among the most important issues of the next four years. This episode is available online here. World Ocean Radio, a project of the W2O, is a weekly series of five-minute audio essays. Peter Neill, Director of the World Ocean Observatory (W2O) and host of World Ocean Radio, provides coverage of a broad spectrum of ocean issues from science and education to advocacy and exemplary projects.